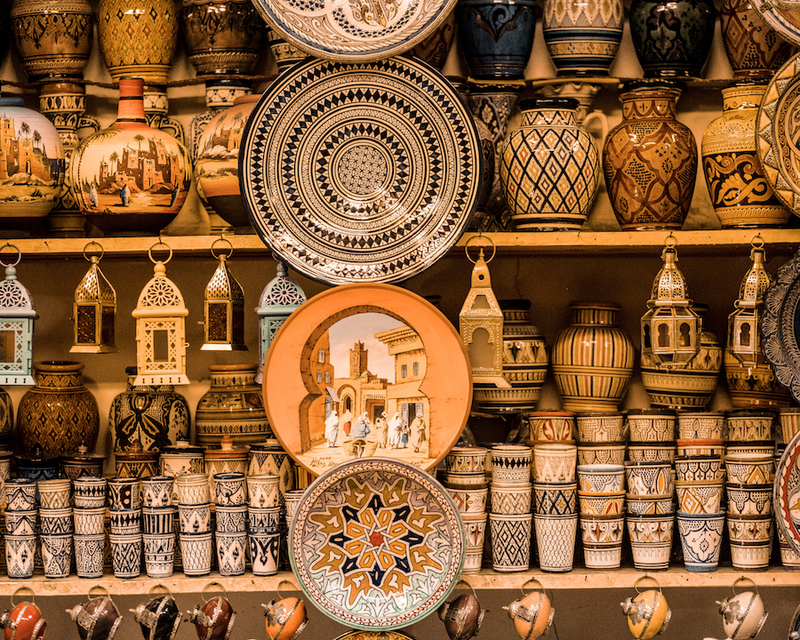 Welcome to Morocco, home of tasty tagines, magical night markets, a tantalising mix of African, European and Arabic cultures and, of course, world-class waves. Your surf camp host here in Morocco is Reda, a professional Moroccan surfer, who has travelled all over the world with the Rip Curl team, who has now returned home with his partner, Laura, and set up an amazing surf camp to share Morocco’s magical waves with you. In walking distance from our Moroccan surf camp, you find four incredible surf spots, offering waves for all surf levels from beginners to advanced surfers. Many more beach, reef and point breaks are just a short drive away. With Moroccan airports serviced by all major European budget airlines and a great public transport system all over the country, Morocco is easily accessible and the perfect surfing holiday destination for single or couple travellers, both small and larger groups and for those on a budget looking to discover the culturally rich Morocco in all its shades and colours. 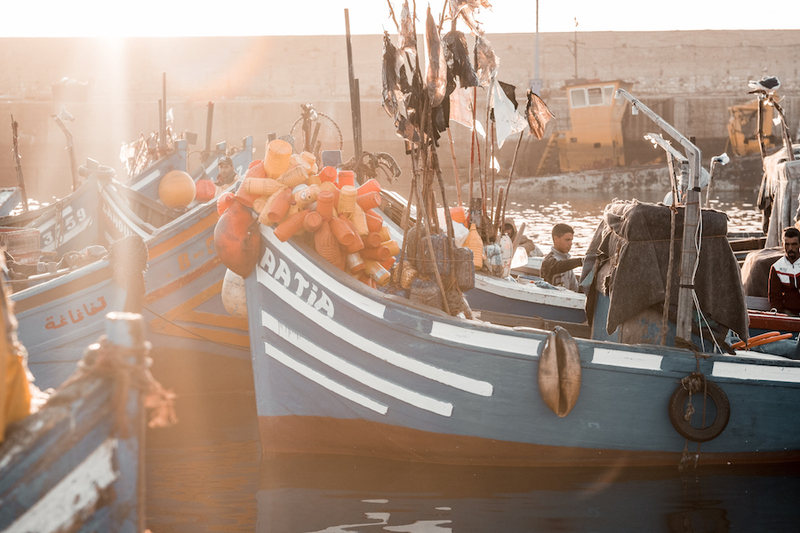 Our partner surf camp in Morocco is located in the picturesque village of Tamraght, situated between Taghazout and Banana Village, on Morocco’s Southwest coast just north of the city of Agadir. Here, we have four surf spots in walking distance from our the surf camp (+/- 15 mins.) and many more surf spots in close driving proximity. 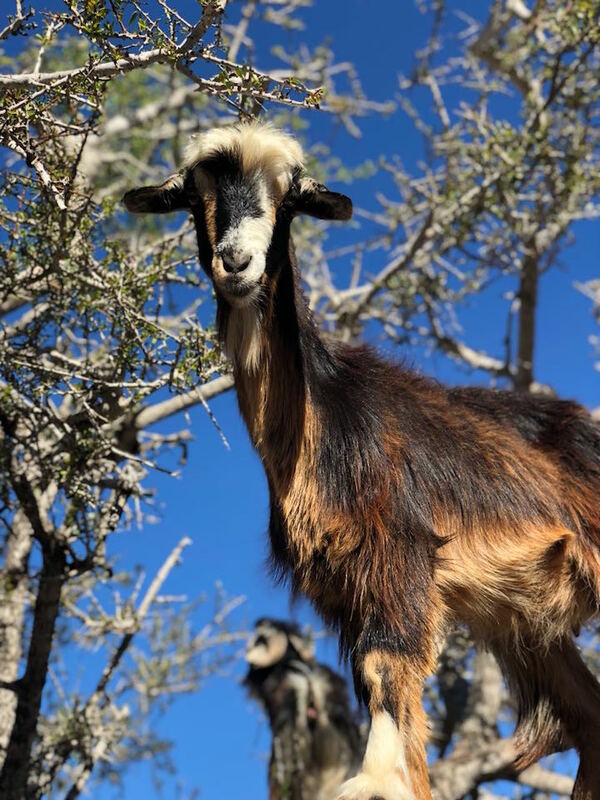 And with a team of experienced, local surf guides and surf instructors at hand, you can really get excited about a fun and surf-filled week in Morocco. 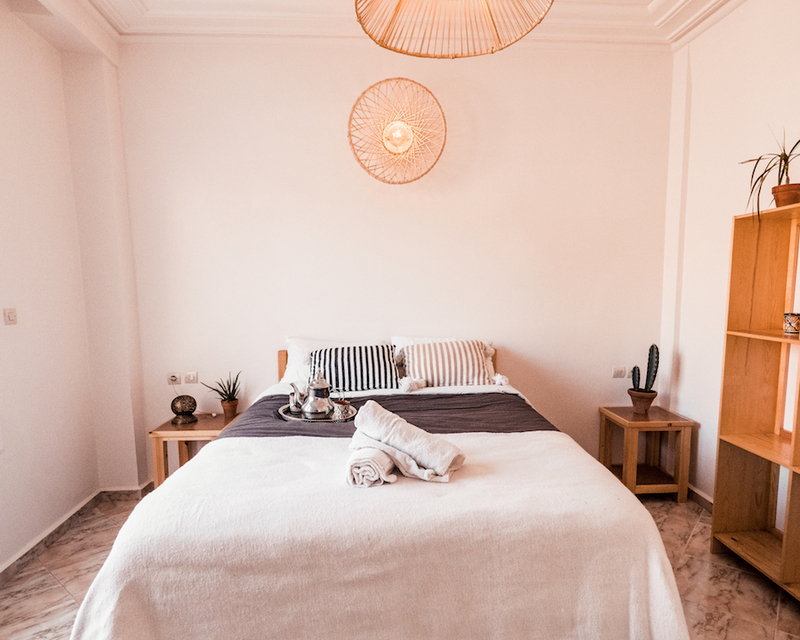 After a long and sunny day on the hunt for waves, you can relax on the surf camp’s large rooftop terrace, practice Yoga, enjoy a sunset cocktails or join us on on a trip to the famous rock pools of Paradise Valley, to go sand dune surfing or to the buzzling Souk of Agadir. Here in Morocco, our competent surf camp team makes sure you leave each surf session stoked and smiling. They have your perfect surf holiday adventure covered! Our partner surf camp is located in Tamraght, a quiet, picturesque village between Banana Village and the popular surf town of Taghazout. The beach as well as many local shops and restaurants are in easy walking distance from our surf camp. 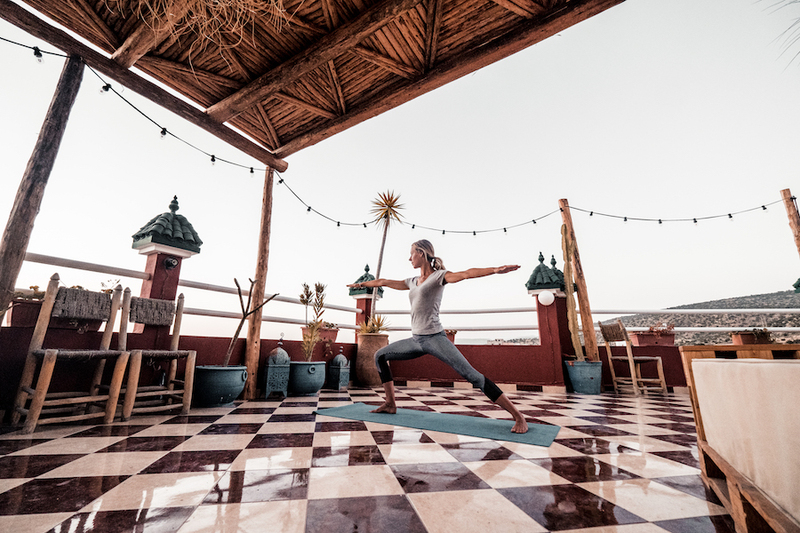 The surf camp itself is a 300m² modern Moroccan-style villa that stretches over 3 floors with a large, panoramic rooftop terrace, perfect for practicing Yoga, enjoying sunset drinks and our afternoon high teas and for sharing surfing stories. The surf camp’s lounge area is equipped with a satellite TV and DVD player, and offers a large selection of surf magazines and books. Breakfast and dinner are served in the surf camp’s communal area on the ground floor. There are also baby foot and ping-pong table onsite and Wi-Fi is available everywhere in the surf camp. In 5 rooms, our surf camp sleeps up to 18 surf holiday guests. 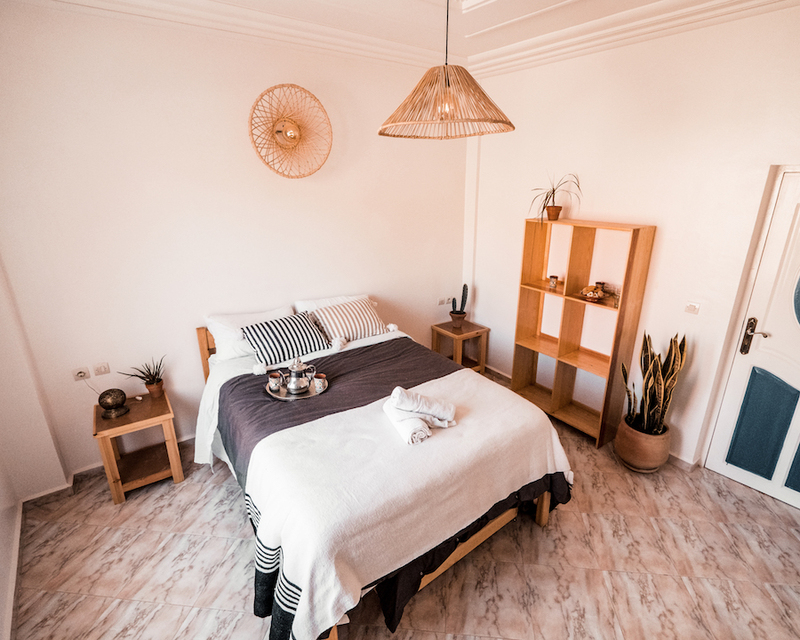 Among our surf camp rooms, we’ve got two dorms sleeping 6 people each, both with ocean views, one double room with an en-suite as well as one double and one twin room both with a private balcony. All our rooms have air conditioning and there’s a total of 7 bathrooms in the surf camp. We provide all bedding, bathroom towels and can provide hair dryers where needed. Surf Morocco’s Best Waves Every Day! Star Surf Camps and all its partner surf camps are renowned for their fun, professional and enthusiastic approach to teaching surfing. 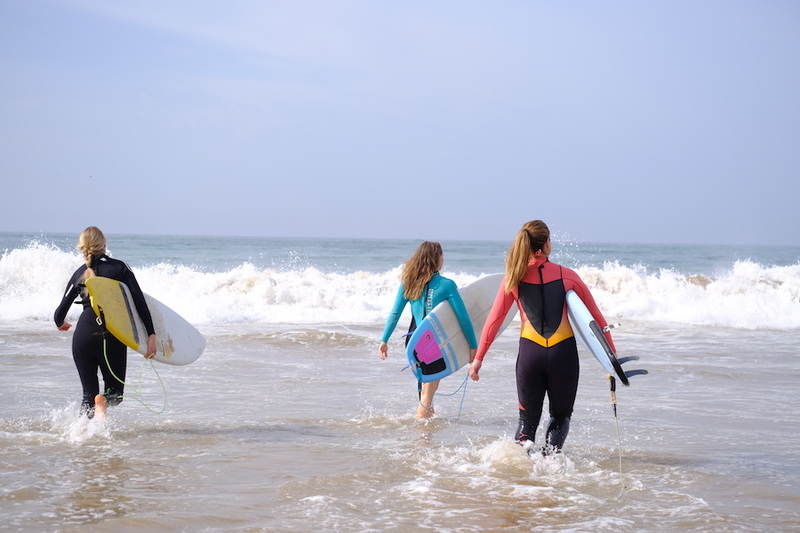 All surf instructors in our surf camp in Morocco are experienced, fully licensed, qualified in the country they teach in and also have a lifeguard qualification. Included in your Surf Lesson Packages are 6 x 2hrs. of surf lessons as well as the use of all surf equipment (wetsuit, surfboard & leash). We divide our surf guests into groups in accordance to each surfers surfing ability. Our international team of professional surf instructors in Morocco doesn’t simply watch you from the beach, but gets in the water with you to help you catch the best waves and improve your surfing quickly. A theoretical introduction to the day’s surf spot, ocean safety and a warm-up are also part of your surf lesson. All our surf holiday guests booked on our Surf Guiding Packages are picked up from the surf villa and taken to the day’s best surf spot best suited to your surfing ability. This may be one of our local waves or anywhere up and down the on Morocco’s Southwest coast. To ensure you’ll get to surf the best waves suited to your surf level, our surf holiday guests are divide into group and taken to different surf spots. Our expert surf team is always at hand to answer any questions you might have on your technique or the intricacies of the local point, reef or beach breaks. We know from experience that a lot of our surf holiday guests in Morocco booked on our Surf Guiding Packages bring their own surf equipment. If, for whatever reason you shouldn’t, don’t worry. We have access to a whole host of surf hire equipment (for 10€/ day) and are at hand to help you choose the best surfboard for your surfing ability. Of course, for our surf lessons and surf guiding, we often venture out of town to find uncrowded waves along Morocco’s Southwest coast. These range from easy beginner beach breaks to some of the world’s best and longest point breaks. Each day, our surf guides will help you find the spot best suited to your surf ability on any given wind, wave size and tide. They’ll also show you the secrets to each spot: the easiest paddling routes, the best places to sit, the spots of the reef to watch out for and the entry and exit points to save damaging your board on the rocks. The true beauty of Morocco is the length and consistency of the waves and the variety of surf on our doorstep. The waves here are some of the longest in the world, most of which break over sand bottom point breaks. Just imagine a wave that lasts over 300 meters, allowing you to try 10+ turns on each wave, correct your body positioning and truly feel the difference between every board you choose to ride! Should you want to explore further, the surf team will show you some of the many perfect waves up and down the Moroccan coastline. Within 30 minutes of our accommodation, there are over 35 waves from beginner surf spots to world class waves suited for surfing professionals! An easy drop, a little mellow. An excellent training wave for your next step up to Anchor Point. A fun, easy-going beach break which turns into a good little wedge on West swells. A nice little wedgy left hander at high tide. Perfect, fun little right hander reef/ point break. A fun and wedgy right on hightide breaking over sand. Long foams ideal beginner surfers and long and mellow right handers when the waves get big. Breaking about 50m away from the rocks, Panorama’s point can give the best barrels in the area when it’s good. Long, easy and hollow waves suited for intermediate to advanced surfers. A fun beach break with a small point break to the right of the bay. Popular among the local kids after school and those too lazy to walk up or down the coast to the many other waves (hence the name). One of the world’s longest and most famous waves! The peak breaks in front of the rocks and can throw the occasional barrel, the middle section of the wave (500 metres) is a big open faced wall allowing for multiple turns and, when the wave hits the inside, it starts to race and barrel. A fun high tide lefthander that also breaks off the point keeping the goofy footers happy. Often the best beach break in the area, with lefts and rights on offer and breaking throughout the tides. Rips make it easy to get out the back and the rocks on the beach provide the perfect place to sunbathe between surfs. Our personal favourite wave in the area! Easy to read, not too dangerous and mechanical. Each wave breaks like the one before over a shallow reef on take-off, allowing for barrels or fast hollow drops. A rock bottom wedgy reef, unpredictable and fast but certainly the best bet when the waves are small and the crowds are thin. Get the right wave here and you’ll be offered barrels, air sections and open faces all on the same wave… get the wrong wave and you get a closeout. Named after the killer whales spotted from the cliffs (although we have never seen any). Killer’s is a long perfect point break with a reef set up further out the back for those who like a long paddle. Perfect waves and often uncrowded due to the walk. Morocco has more waves than surfers! If you want to hire a car, our local guides can help you find empty, perfect and beautiful waves within an hour where from your accommodation. We can also tell you how to find these waves by simply using the very cheap (and fun) public transport or by joining our surf lessons and exploring with your expert surf instructor and guide. Yoga and surfing have long gone hand in hand with many professional surfers using yoga to help improve their flexibility, core strength and surfing performance. So if you feel like you could do with a bit of stretching after a long day surfing, Yoga is a fantastic way to improve your flexibility and to strengthen your body. Our enthusiastic and professional Yoga instructors make their sessions fun and accessible to ‘Yogis’ of all levels. So join us for a morning or sunset session on our surf camp rooftop or on the beach. Every morning, you’re served a healthy breakfast including a selection of fresh fruits and vegetables, such as melons, kiwis, avocados, tomatoes, cucumber, etc. fresh juices, mint tea and coffee as well as Moroccan pancakes, fresh bread, eggs, jams, honey, cereals, etc. For your lunch at the beach, we prepare a variation of sandwiches, pasta salads, quiches or cheese burgers for you, and also include fresh fruits and bottled water for you to take to your surf lessons. 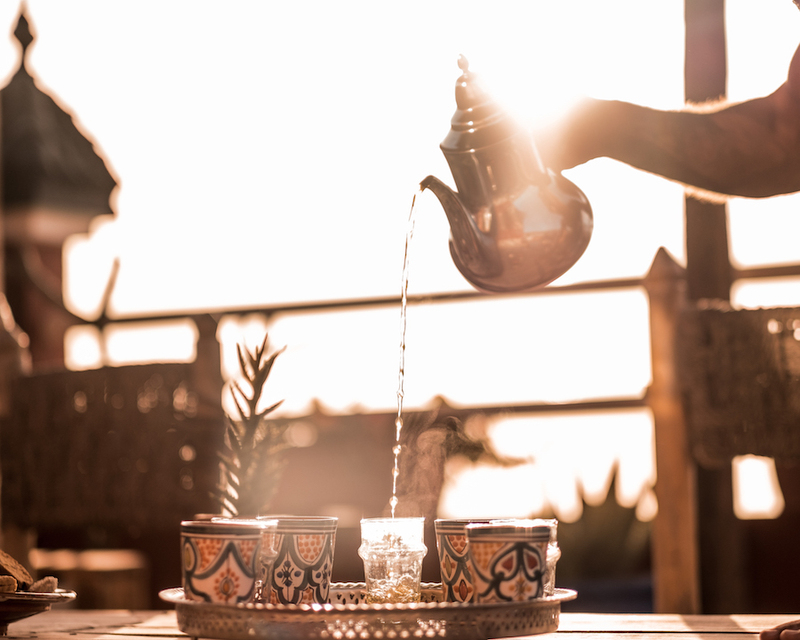 When you come back from a long and sunny day on the beach surfing, we serve our classic afternoon high tea on our rooftop terrace with traditional mint tea and delicious Moroccan biscuits. In the evenings, our on-site chefs prepare a three-course meal for you. Starters include fresh vegetables, salads and soups. Main courses range from traditional Moroccan dishes, such as beef, chicken or fish tajines with vegetables and selections of tapas, kebabs and couscous, to traditional Western BBQs with sausages, chicken and fish from the grill. Home-made desserts and a surf movie or live World Surf League events finish off most evenings on a happy note. Our dinners here in Morocco are definitely one of the social highlights of each surf camp day and always great fun when reminiscing the day’s best waves or listening to Reda talking surfing adventures! Much More than just a Surfing Holiday! 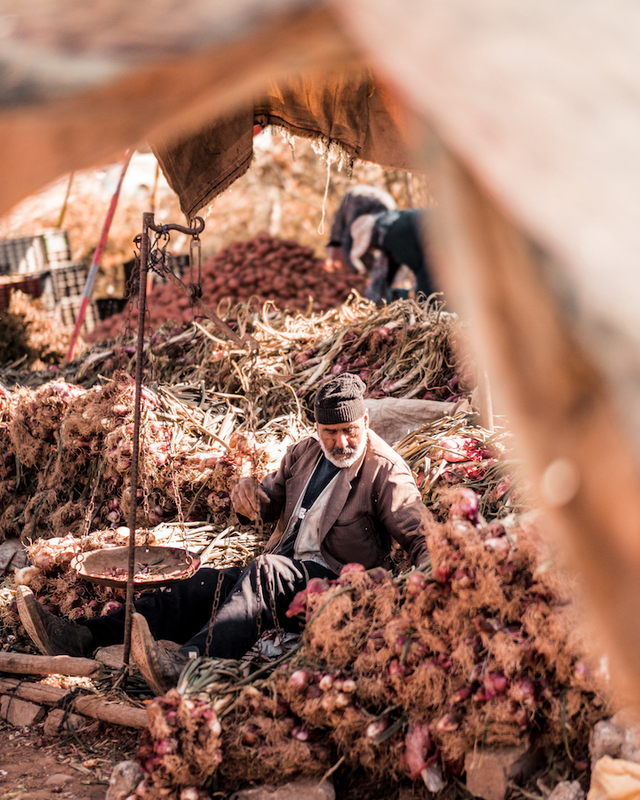 Where there’s rainbows of colour in every street, smells and scents from spice-markets in the air and an urban orchestra of unfamiliar sounds all around, you’ve stepped into the exhilarating world of Morocco. And although geographically only 13 km off the coast of Spain, culturally, the North African country couldn’t be more distant from mainland Europe. 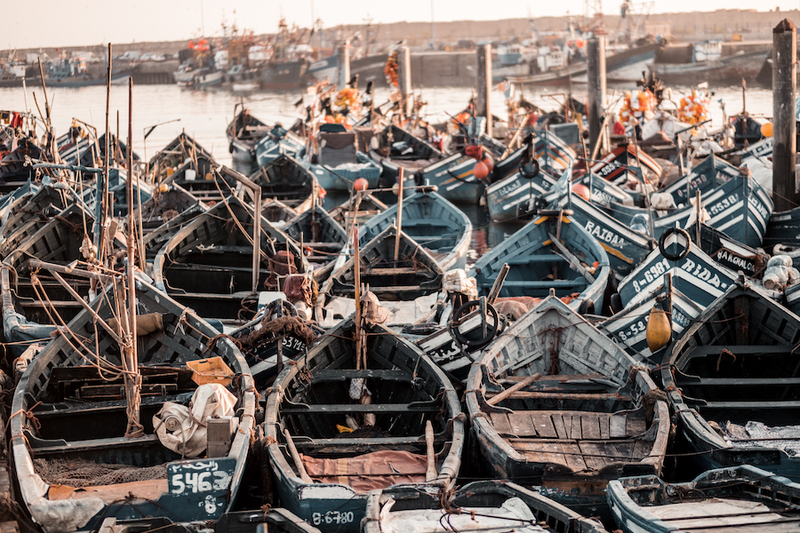 The combination of Arabic magic, African tradition and European flair truly makes Morocco one of the world’s most diverse countries – and there’s plenty to discover when on surfing holidays in Morocco. When on surf holidays with us in Morocco, join us for a relaxing and revitalizing Yoga session, a trip exploring the lively streets and colourful markets of Agadir, ride a camel through the country’s picturesque landscape that, for centuries, has inspired many artists and soul seekers alike, rock jump into the turquoise waters of the legendary desert oasis of Paradise Valley, try out sand dune surfing and, of course, surf your heart out every day. 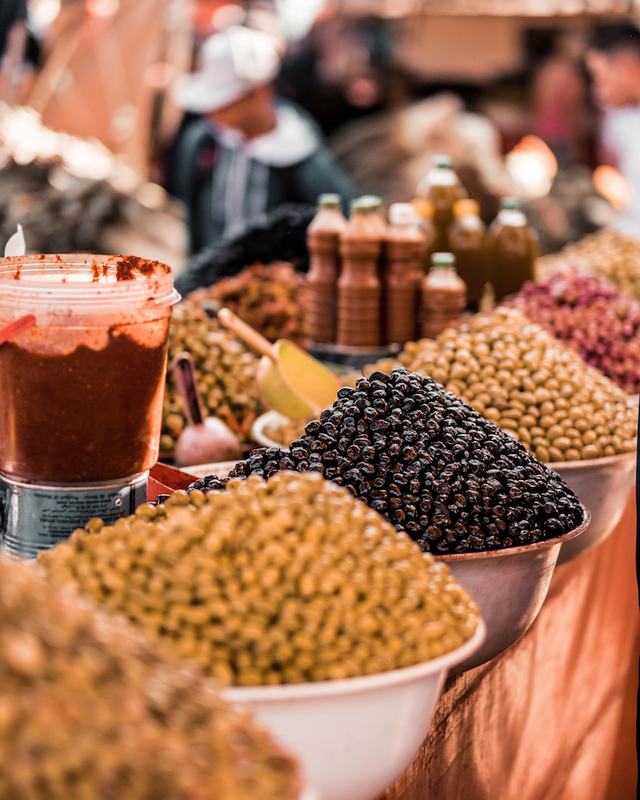 Here in Morocco, you’ll get to explore some authentic and traditional Moroccan cuisine, experience a great mix of African, Arabic and European culture and much more! Pick-ups from and drop-offs at Agadir airport or bus station are included in all our surf packages in Morocco. Please let us know your arrival/ departure dates before arriving at the surf camp for your surfing holidays. Thank you. 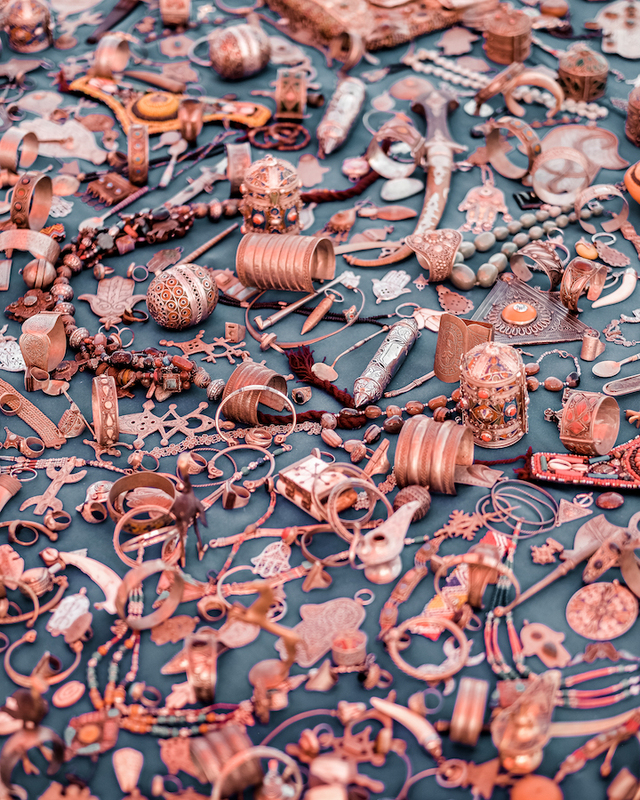 What to Pack for your Moroccan Surf Camp Holidays? Any Questions about our surf camp in Morocco? Which surf equipment do you recommend bringing to Morocco? We highly recommend a 3/2 full-length summer wetsuit to maximise warmth and, therefore, surfing time. We have a range of wetsuits, boards and surfing equipment available for hire should you not want to travel with extra baggage or risk damage from the pesky airport baggage handlers. Do I need to be insured when traveling to Africa? It is compulsory that all our guests have their own valid travel insurance which covers surfing. 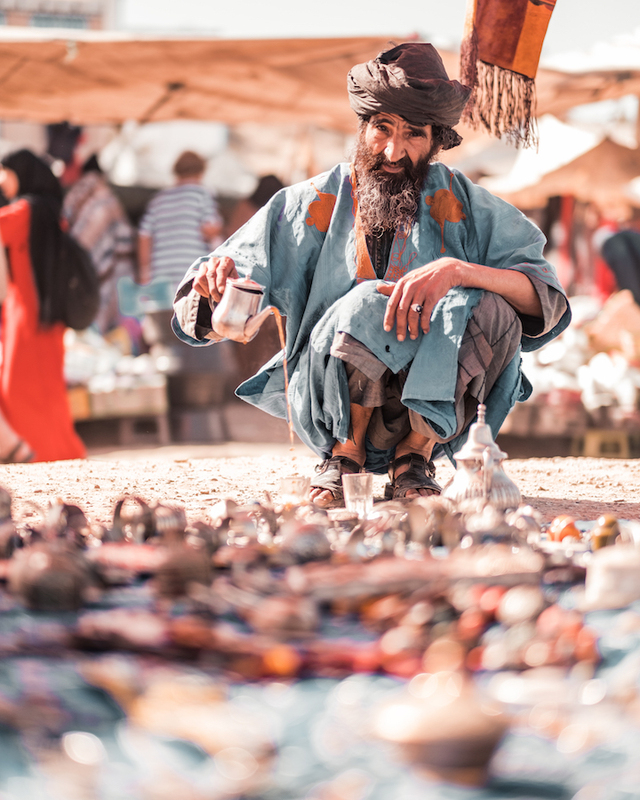 We only partner with insured and reputable companies in Morocco ourselves, and, of course, we too have our own travel and tour operator public liability insurance. Do I need a visa when travelling to Morocco? What's the weather link in Morocco? Morocco has over 330 days of sunshine a year, so day wear consists of boardies/ bikinis and flip flops. However, it does get chilly the moment the sun comes down, so a pair of jeans and a hoody is often worth packing. Can I drink alcohol and go out partying in Morocco? 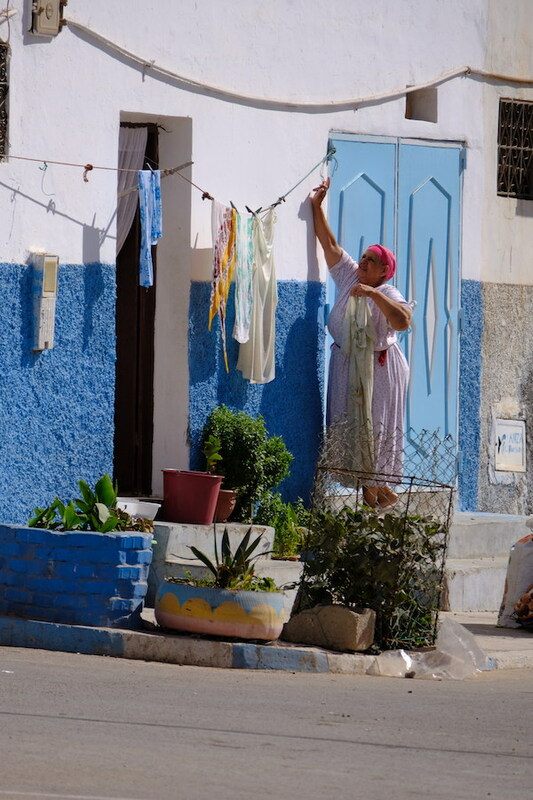 It is not illegal to drink alcohol in the Taghazout area, however, it is culturally insensitive to be seen drinking alcohol in the street with "the lads on tour"-attitude. There are supermarkets close by and you are more than welcome to bring any drink with you to the surf camp from the duty free store. What's the currency of Morocco? 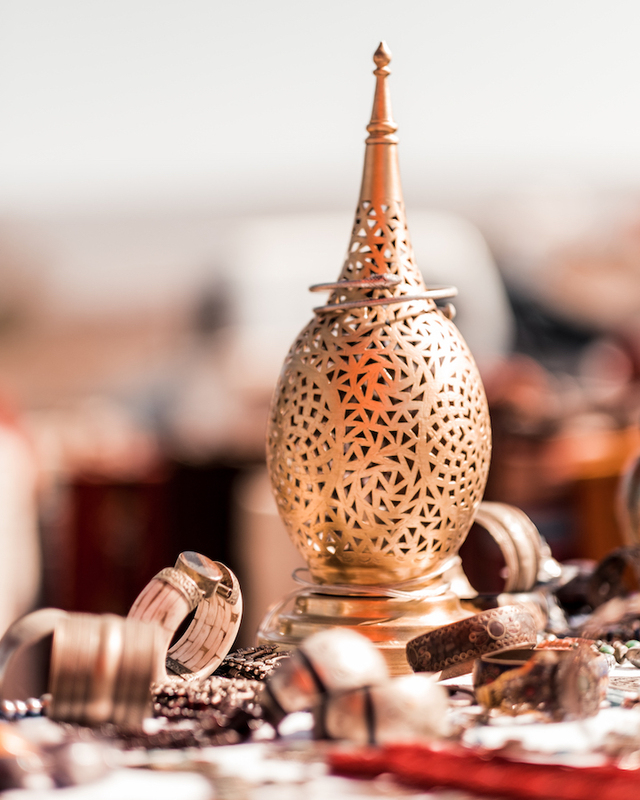 Morocco’s currency, the Dirham, is a ‘closed currency’, meaning you cannot, in theory, change money outside the country or take any with you when you leave. However, in practice, it is extremely easy to change any currency into Dirham upon arrival at the airport, at a number of ATMs and banks close by. Of course, Traveller’s Cheques are also always an option. 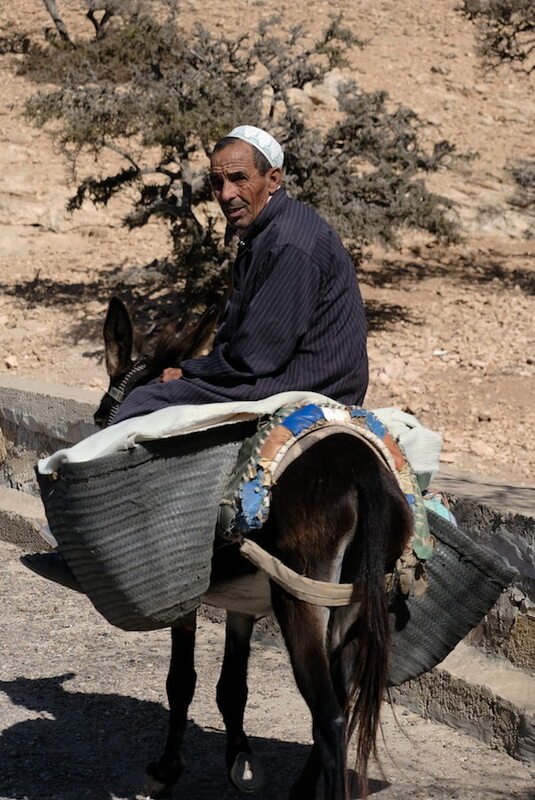 Do I need any vaccines beforo travelling to Morocco? It is not necessary for anti-malarial precautions and no vaccinations are currently required upon entering the country. However, we do recommend you consult with a doctor before departure. We have first aid equipment always at hand and our staff is trained in administering first aid. For minor illnesses and injury, there is a good pharmacy in Taghazout and, in case of an emergency, we can visit hospitals and clinics in Agadir. Medical charges may apply, so please ensure you have adequate travel insurance before you arrive. Can you help me find flights? Budget airlines fly into Morocco from all over Europe with an average of around 100€ per return flight. If you’re flying into Marrakech, Fez or any other airport (we only offer pick-ups from Agadir), use the very reliable bus transport between cities for around 15€ each way. You can always email our team and we help you find the best flights.